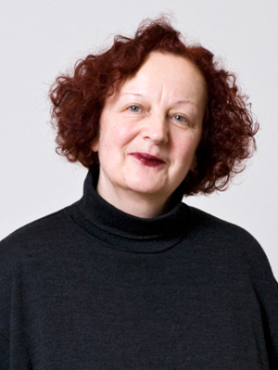 Prof. Dr. Barbara Schellewald (*1952, Lauchhammer) holds the chair for older art history at the University of Basel. She studied art history, classical and Biblical archeology, Italian studies and South Asian studies at the universities of Heidelberg and Bonn. She completed her PhD in 1982 at the University of Bonn with a study of the architecture of the church of St. Sophia in Ohrid (North Macedonia). From 1982 to 1984 she worked at Philipps-Universität Marburg and from 1984 to 1990 she was assistant lecturer at the University of Bonn. After a longer-term period in which she substituted for a professor at the Ruhr-Universität Bochum she was offered a chair at Leipzig University in 1993, where she taught before returning to the University of Bonn in 1994, taking the chair for medieval art history, with a special focus on the history of Byzantine art. Her habilitation thesis (1994) was entitled Die Konstitution byzantinischer Bildprogramme. Strukturen – Liturgie – Gedächtnis (The configuration of Byzantine visual programmes. Structures – Liturgy – Memory). From 2008 to 2017 she was a board member of the Swiss NCCR National Centre of Competence in Research Eikones (NCCR »Iconic Criticism – The Power and Meaning of Images« of the Swiss National Science Foundation), in its last period with the module Revealing and Concealing. Methods of the image in the pre-modern period; from 2014 until 2017 she was an active contributor to the research project Digital Materiality funded by the Swiss National Science Foundation. Among Barbara Schellewald’s current research areas are: Byzantine image culture and medieval image theories, the relations between the Middle Ages and modernity, especially in modern receptions of the medieval, processes of cultural exchanges in the Mediterranean and the Hanse area, the history of science, especially art history during National Socialism, processes and practices of revealing and concealing in the pre-modern period, and the materiality of medieval artefacts and their contemporary perception. Enthüllen und Verbergen in der Vormoderne. Revealing and concealing in the pre-modern period (Ed., with H. Hofmann, S. Schweinfurth & G. Wildgruber) (forthcoming 2019). Clothing Sacred Scriptures. Book Art and Book Religion in Christian, Islamic, and Jewish Cultures (Ed., with D. Ganz), Berlin & Boston 2019. Bild und Text im Mittelalter (Ed., with K. Krause), Cologne 2011. Blau. Materialität und Licht. Zum Verhältnis von Wandmalerei und Mosaik, in: U. Heinrichs (Ed. ), Neue Forschungen zur Wandmalerei, Paderborn 2019. Temporality versus Transcendence: Mosaic as a Medium beyond Perspective, in: C. Kiening & M. Stercken (Ed. ), Temporality and Mediality in Late Medieval and Early Modern Culture, Turnhout 2018, pp. 15-39. Transferprozesse zwischen Ost und West – Bildkonzepte und -modelle, in: F. Daim, D. Heher & C. Rapp (Ed. ), Bilder und Dinge: Studien zur Ausstellung »Byzanz & der Westen. 1000 vergessene Jahre«, Mainz 2018, pp. 59-71. Out of the Blue – Die Erscheinung des Göttlichen. Der Einsatz von Lapislazuli im Mittelalter, in: N. Adamowsky, N. Gess, M. Schnyder, H. Marchal, & J. Bartuschat (Ed. ), Archäologie der Spezialeffekte, Paderborn 2018, pp. 217-238. Transformationen – Die Transfigurationsikone aus Zarzma und die an und mit ihr praktizierten Wahrnehmungsstrategien, in: M. Bacci, T. Kaffenberger & M. Studer-Karlen (Ed. ), Cultural Interactions in Medieval Georgia, Wiesbaden 2018, pp. 169-188. Gold, Licht und das Potenzial des Mosaiks, in: Zeitschrift für Kunstgeschichte 79/2016, pp. 461-480. Transformation and Animation. Light and Mosaic in St. Catherine’s Monastery on Mount Sinai, in: D. Mondini & V. Ivanovici (Ed. ), Manipolare la luce in epoca premoderna. Aspetti architettonici, artistici e filosofici. Manipulating Light in Premodern Times. Architectural, Artistic, and Philosophical Aspects, Mendrisio 2014, pp. 236-251. Mosaik als Medium der Moderne, in: B. Borkopp-Restle & B. Welzel (Ed. ), »Eines der wichtigsten Monumente unserer Zeit überhaupt.« Das Krematorium von Peter Behrens in Hagen, Essen 2014, pp. 171 -190. Kunstgeschichte im »Dritten Reich«: Theorien, Methoden, Praktiken (Ed., with R. Heftrig & O. Peters), Berlin 2008. Frauen in der frühen Neuzeit: Lebensentwürfe in Kunst und Literatur (Ed., with A.-M. Bonnet), Cologne 2004. Prof. Dr. Alexander Honold (* 1962, Valdivia/Chile) is Professor of modern German literary studies at the University of Basel since 2004. 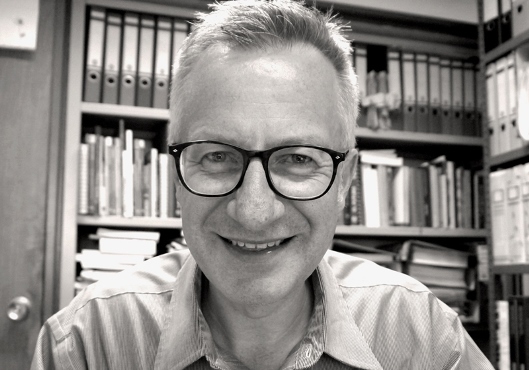 He studied German and Comparative Literature, Philosophy and Latin American Studies in Munich and Berlin and completed his PhD in 1994 at Freie Universität Berlin with a thesis on Robert Musil and World War I. His Habilitation was completed in 2002 with a treatise on astronomy in the works of Friedrich Hölderlin. 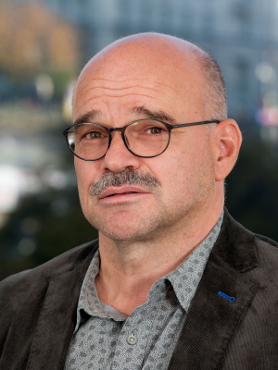 From 1991 to 1996 he was a research associate in modern German literature at the Department of German Studies at FU Berlin, and besides was a lecturer in Latin American Studies from 1991 to 1993 at FU Berlin and from 1993-2002 a lecturer at Humboldt-Universität Berlin. From 1997 to 2000 he was a research associate in the DFG (German Research Association) research project Kultur- und Literaturgeschichte des Fremden (Cultural and literary history of the foreign), from 2000 to 2002 he held a habilitation fellowship from the DFG and from 2003 to 2004 substituted for a professor at the Chair for German Literature and General Literary Studies (Prof. G. von Graevenitz) at the University of Konstanz. Alexander Honold has taught, amongst others, at the Freie Universität Berlin, at Huboldt-Universität Berlin, at the University of Konstanz and the University of Basel. He had research stays funded by the DAAD (German Academic Exchange Service) at New York University (April-May 1997) and Stanford University (April 1998) and was a Fellow at the Kulturwissenschaftliches Institut (KWI) Essen (October 1998-May 1999), a Fellow at the Freiburg Institute for Advanced Studies (FRIAS) of the University of Freiburg (January-June 2013), Senior Fellow at the IFK International Research Center for Cultural Studies, Vienna, University of Art and Design Linz (October 2017-January 2018), as well as Max Kade Distinguished Visiting Professor at the University of California, Santa Barbara, USA (January-March 2018). He holds the 2018 Warburg Professorship of the Aby Warburg Foundation and resides at the Warburg-Haus Hamburg from April to July 2018. His research areas include the study of narration (the history of genres, forms and media of narration), the cultural theory of classical modernism, travel literature, intercultural and postcolonial literary studies, the semantics of landscape and cultural topography, texts and authors from Switzerland and Austria, literary theatre and play (in and since the Goethe era) as well as literature and music (cooperation between, transfer of forms and mutual dealings with each other). Alexander Honold has published numerous books, articles in journals and newspapers, as well as literary criticism. Die Tugenden und die Laster. Gottfried Keller, Die Leute von Seldwyla. Basel: Schwabe 2018. Der Erd-Erzähler. Peter Handkes Prosa der Orte, Räume und Landschaften. Stuttgart: Metzler, 2017. Handbuch Literatur und Musik (Ed., with Nicola Gess). Berlin, Boston: De Gruyter, 2017. Reiseliteratur der Moderne und Postmoderne (Ed., with Michaela Holdenried and Stefan Hermes). Berlin: Erich Schmidt 2017. Goethe als Literatur-Figur (Ed., with Edith Anna Kunz and Hans-Jürgen Schrader). Göttingen: Wallstein 2016. Einsatz der Dichtung. Literatur im Zeichen des Ersten Weltkriegs. Berlin: Vorwerk 8, 2015. Die Zeit schreiben. Jahreszeiten, Uhren und Kalender als Taktgeber der Literatur. Basel: Schwabe 2013. Prof. Emeritus Dr. Jörg Jochen Berns (*1938, Frankfurt on the Main) studied German literary studies, Philosophy and History at the universities of Frankfurt on the Main, Freiburg im Breisgau and Marburg. He completed his PhD in 1964 in Modern German Literature with a thesis on the baroque novelist Johann Beer. From 1964 to 1968 he was the recipient of a habilitation fellowship of the DFG (German Research Association). 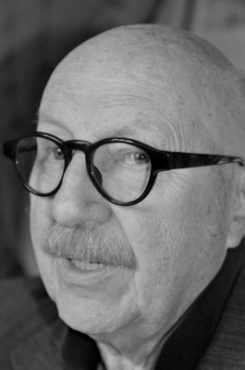 He worked at the Institute for Modern German Literature at Universität Marburg as a scientific assistant in 1968/69 and as akademischer Rat (tenured research assistant) from 1970-1972. Upon completion of his Habilitation in 1972 with a study on the philosopher, linguist, dramatist and devotional poet Justus Georg Schottelius he was appointed university professor at Universität Marburg the same year. In 1987/88 he was a Visiting Professor at Università degli Studi di Trento. Jörg Jochen Berns retired in October 2001. His main research and teaching areas are: The science history of German studies, courtly culture of the early modern era, the history of mnemonics, the history of early modern mythography and the history of German iconoclasm. Von Strittigkeit der Bilder. Texte des deutschen Bildstreits im 16. Jahrhundert. 2 Bde. (Frühe Neuzeit, Bd. 184) Berlin: de Gruyter, 2014. Die Jagd auf die Nymphe Echo. Zur Technisierung der Wahrnehmung in der Frühen Neuzeit (Presse und Geschichte, Neue Beiträge, Bd. 53). Bremen 2011. Himmelsmaschinen / Höllenmaschinen. Zur Technologie der Ewigkeit. Berlin: Semele, 2007. Gedächtnislehren und Gedächtniskünste in Antike und Frühmittelalter [5. Jahrhundert v. Chr. bis 9. Jahrhundert n. Chr.] Dokumentsammlung mit Übersetzung, Kommentar und Nachwort. Ed. by Jörg Jochen Berns, with the collaboration of Ralf Georg Czapla and Stefanie Arend. Tübingen: Max Niemeyer Verlag, 2003 (Documenta Mnemonica, Bd. I.1. Frühe Neuzeit, Bd. 79). Film vor dem Film. Bewegende und bewegliche Bilder als Mittel der Imaginations-steuerung in Mittelalter und Früher Neuzeit. Marburg: Jonas Verlag, 2000. [Co-editor and co-author:] Zeremoniell als höfische Ästhetik in Spätmittelalter und Früher Neuzeit. Tübingen 1995 (= Frühe Neuzeit, Bd.25). Prof. Dr. Peter Krieger, 1996 PhD University of Hamburg (Graduate Program Political Iconography), since 1998 Research-Professor at the Institute for Aesthetic Research at the Mexican National University (Instituto de Investigaciones Estéticas, UNAM); 2004-2012 Vice-President of the International Committee of Art History (CIHA/UNESCO); 2007-2014 academic collaborator at the project ‘Transcultural and Transhistoric Efficiencies of the Baroque Paradigm’, University of Western Ontario, London/ON; 2010-2014 member of the scientific board of the Ministry of urban development of Mexico City (Comisión de Publicidad Exterior, Seduvi / GDF); concept and organization of conferences, e.g. about the relationship between city-scapes and nature; September 2016 chair of the section “Landscape and Spectacle” of the 34th World Congress of Art History (CIHA) in Beijing, China. 2016 Aby Warburg Visiting Professor at the Warburg-Haus, Hamburg. Research and Publications include the image and history of Cities and landscape in the 20th and 21st century; aesthetics and ecology of Mega-Cities; Political Iconography of City-Scapes and Architecture; Art and Sciences. Peter Kriegers research project at the Warburg-Haus is the political Iconography of the contemporary landscape. Transformaciones del paisaje urbano en México. Representación y registro visual. Madrid: El Viso / México: MUNAL, 2012 [rezensiert im Journal für Kunstgeschichte / Journal of Art History 18, 1/2014, pp.94-102]. “Body, Building, City and Environment. Facets of Contemporary political Iconography in the Mexican Megalopolis” en Udo J. Hebel / Christoph Wagner (eds.) Pictorial Cultures and Political Iconographies. Berlin, Boston: De Gruyter 2011, pp.401-428. “Colgado en el escenario distópico de la ciudad modernista. El largo alcance del terror visual vanguardista hasta el 9-11” en Renato González Mello / Anthony Stanton (eds.) Vanguardia en México. 1915-1940. México: Munal/INBA 2013, pp.148-157. “The charge of Emptiness at the Constitution’s Square in Mexico City” in Ulrich G. Grossmann / Petra Krutisch (eds.) The Challenge of the Object. Die Herausforderung des Objekts. 33Rd Congress of the International Committee of the History of Art. 33. Internationaler Kunsthistoriker-Kongress. Nürnberg, 15.-20. Juli 2012 Congress Proceedings - Part 3, Nuremberg: Germanisches Nationalmuseum, 2014,, pp.1114-1117. “Arquitectura política del México posrevolucionario institucional en 1964 – el caso de la Secretaría de Relaciones Exteriores en Tlatelolco” in Museo de Arte Moderno (ed.) Pedro Ramírez Vázquez inédito y funcional. México: MAM/INBA, 2014, pp.212-240. "Germany Reconstructed? Destroyed Postwar City-Scapes as 'Witnesses' for Collective Memories." in Arte y Violencia. (XVIII Coloquio Internacional de Historia del Arte), ed. Arturo Pascual, México: Instituto de Investigaciones Estéticas, UNAM, 1995, pp.31-58. "Las posibilidades abiertas de Aby Warburg." in (In)Disciplinas: estética e historia del arte en el cruze de los discursos. (XXII Coloquio Internacional de Historia del Arte. ), ed. Lucero Enriquez, México: Instituto de Investigaciones Estéticas, UNAM, 1999, pp.261-281. “El hábitat contemporáneo como locus terribilis. Las experiencias de Barack Obama” en La estética del mal: conceptos y representaciones (coloquio internacional de historia del arte), ed. Erik Velazquez García, México: Instituto de Investigaciones Estéticas, UNAM, 2013, pp.425-434. “Belagerung” in Uwe Fleckner / Martin Warnke / Hendrik Ziegler (eds.) Handbuch Politische Ikonographie. München: Beck, 2011, Vol I: Abdankung bis Huldigung, pp.136-143. “In memoriam Nelson Mandela (1918 - 2013) – aprendizaje de la celda” in Anales del Instituto de Investigaciones Estéticas, Núm. 105 (2014), pp.257-265. After receiving her doctorate in 1993 from the Ludwig-Maximilians-Universität Munich, Prof. Shai-Shu Tzeng taught at the Department of Fine Art, National Taiwan Normal University (NTNU) in Taipei. From 2000 to 2005, she was director of the project ‘Western Art History Studies’, an inter-university initiative funded by the National Science Council of Taiwan. She went on to become the director of the Centre Culturel de Taiwan in Paris in 2005 and 2006, and in 2007 founded the Graduate Institute of Art History at NTNU, which she managed until the summer of 2014. For her current research at the Warburg Haus, Shai-Shu Tzeng is examining paintings, rendered on leather wall hangings, of the towns of Formosa (today’s Taiwan) from the 17th century. The project ties in with earlier research undertaken by Tzeng on the portrayal of towns in landscape painting and is being carried out in close cooperation with museums in the USA, Europe, and Asia.